Focus your peepers on the Innergie USB-C Adapter, a charger so small it can simply slot it into a pocket or purse almost unnoticeably. Measuring in at around the size of a shot glass, the super lightweight device is super smart too, able to detect the voltage output while charging devices at super fast speed. The folding plug further adds to its portability. 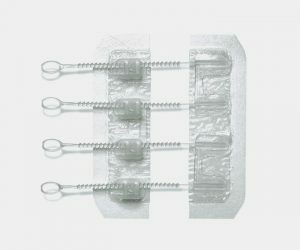 A must for you home or on the go first aid stash, the ZipStitch Laceration Kit is the only surgical-quality wound closure device available without a prescription. Close gashes up to 1.5 inches long with this hospital-grade adhesive offering (that’s used in hospitals) that also includes preparation materials like alcohol wipes to clean the area and a gauze pad to stop the bleeding. Whether you use the Android, iOS or web apps, keeping track of your crib’s consumption is a breeze with the Sense Home Energy Monitor. 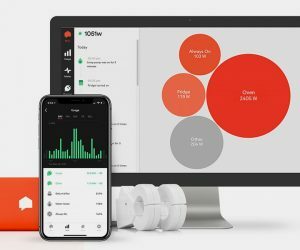 A fine way of cutting back on your bills, the system allows you to see what’s being used, by whom and when, while syncing with the likes of Alexa and smart plugs. 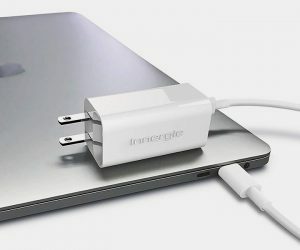 Apple users cast aside that cumbersome laptop charger, now you can get one the size of a phone charger in the form of the Anker PowerPort Atom. 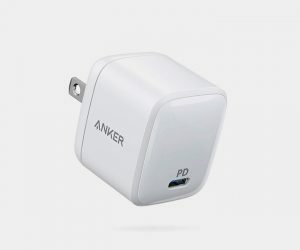 The 30W device delivers fast charging to all Apple gadgets–and other USB-C devices–up to 2.5 times quicker than other chargers, while being just around the size of a golf ball. 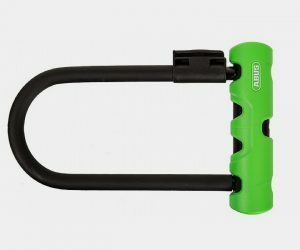 Protecting your bike from damage as well as theft, the ABUS Mini 410 U-lock has an innovative soft-touch housing cover to help prevent damage to your paint, while the temper hardened steel construction of the shackle, body and supporting elements offer cut and torsion resistance. Further security comes in the shape of a double locking shackle that also provides anti-twist protection. Resembling a robotic vacuum cleaner, the super cool Accell Poweramid is nearly as smart, chock full of safety features. 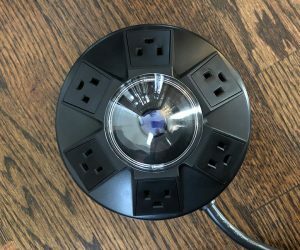 The easy to use design is ideal for both home and office environments, its six grounded power outlets backed by surge and fireproofing technology, protecting both people and their expensive electrical gear.